To upload your website files to your StudioCoast account, if there are a large number of files, you will need to upload them via FTP. 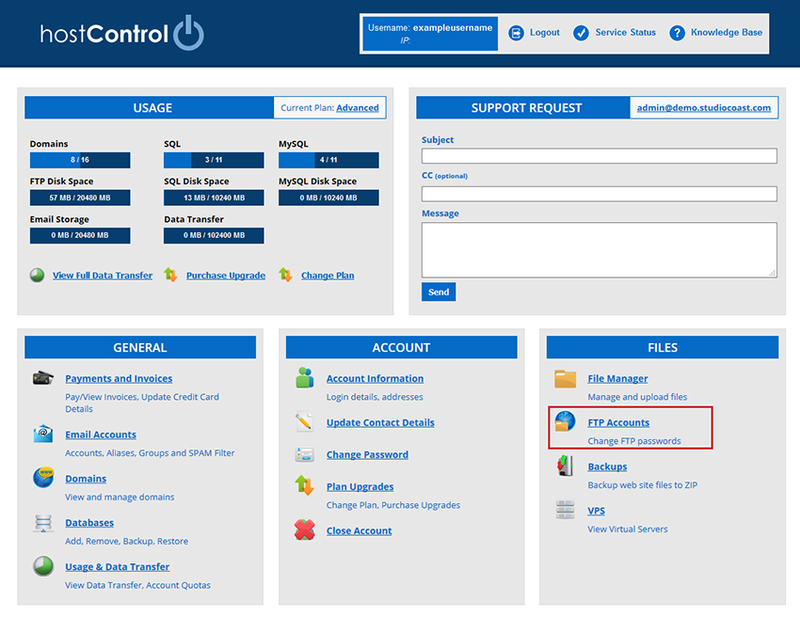 Firstly, login to your StudioCoast account (hostControl) to find your FTP account details. Select "FTP Accounts" from the "Files" section of the menu. Find the FTP Account in the list and take note of the details. You will need to know the server (host), username and password. Open up yout FTP client on your computer (we recommend Filezilla). 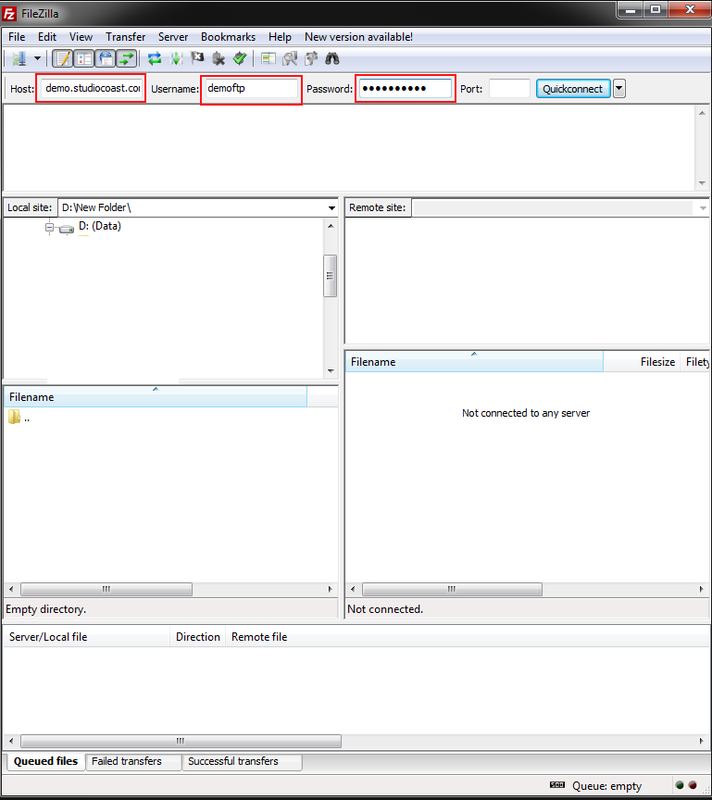 In your FTP client enter your FTP Account's server name (host), username and password. In Filezilla, this can either be done via File > Site Manager or you can do a QuickConnect from the top. After you have connected via FTP, you can start uploading your website's files. Make sure these are uploaded into the "home" directory of your domain name under your FTP account.